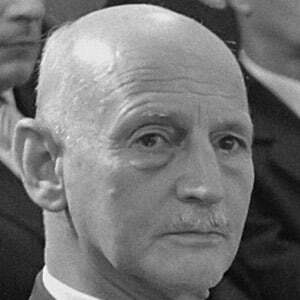 Father of Anne Frank who orchestrated the publishing and distribution of his daughter's diary manuscripts. He worked for his family's bank after serving in the German army during World War I. He also helped found the Anne Frank House museum and the Anne Frank Foundation. He was married twice, first to Edith Hollander then to Elfriede Geiringer, and had two daughters, Margot and Anne, with his first wife. His daughter was portrayed by Melissa Gilbert in The Diary of Anne Frank, the 1980 TV movie.